We are focused on research, cutting-edge technologies and educational programs with emphasis on microbial pathogens, cancer and the host immune defense system, which protects us from disease. If you are a prospective graduate student looking for an exciting training opportunity in modern biomedical research, then we have an exciting program for you. The training is rigorous, emphasizing conceptual and experimental strategies using state-of-the-art technologies in modern facilities. 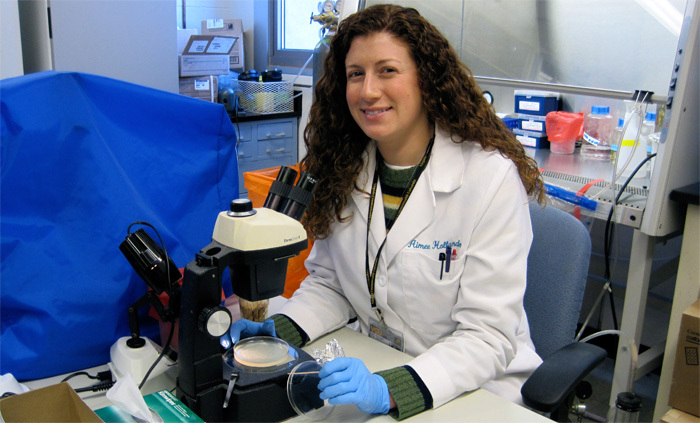 Our Microbiologists study the molecular mechanisms by which microorganisms (i.e., bacteria, viruses, fungi and parasites) colonize a host, evade the immune response and cause damage. Our Immunologists study the molecular and cellular mechanisms by which the immune response either defends the host against pathogens or goes awry, such as with an allergic reaction. Many of our Molecular Cell Biologists are are studying the fundamentals of cancer and new therapeutic approaches. We all conduct research using the tools of molecular biology, genetics, cell culture, infection models, transgenic animals and bioinformatics. 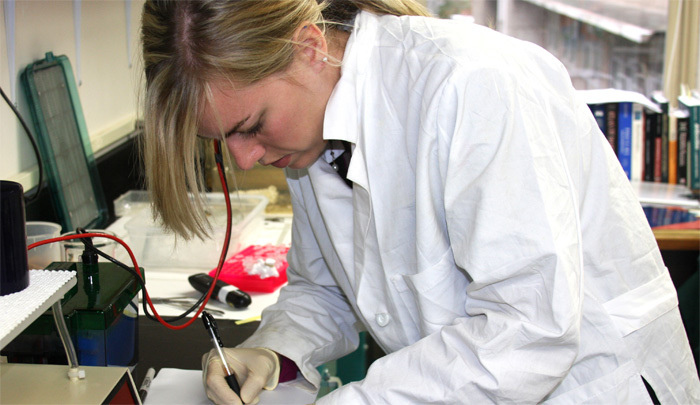 A major goal of the Department is to train the next generation of research scientists. Ph.D. students and postdoctoral fellows work along-side principal investigators to test hypotheses of medical importance. Laboratory training is supplemented with rigorous coursework, seminars, journal clubs and lab meetings. Most of our trainees present their research findings at national and international meetings. Our Department has 25 primary faculty members and about 25 affiliate faculty members with primary appointments in other departments. Highly research oriented, we are among the top departments on this campus in attracting NIH research grants, which includes an NIH Training Grant. In addition to research, our faculty teach courses designed for graduate, medical and dental students. They also provide service to to professional organizations, advisory boards of the government, the scientific community and to the work of the medical school. 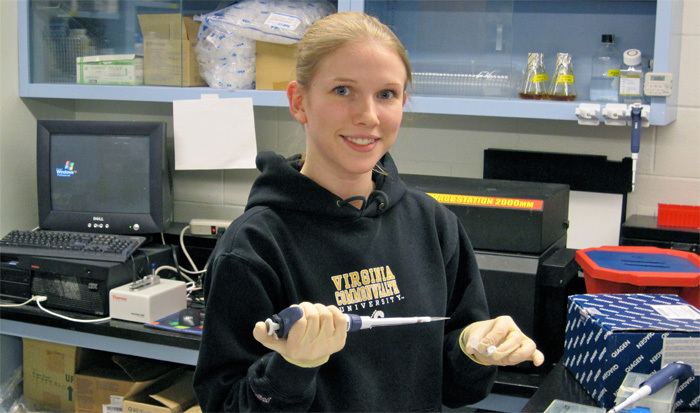 There are approximately 50 graduate students in the Department of Microbiology & Immunology, making it one of the largest graduate programs in Virginia Commonwealth University. Our interdisciplinary programs will provide you with training and opportunity for cutting-edge medical research, with access to outstanding research mentors in a wide spectrum of areas. The Department of Microbiology & Immunology is in the Virginia Commonwealth University Medical Center (located on the Medical College of Virginia Campus) in beautiful and historic Richmond, Virginia. Join us in the many opportunities for scholarship and research achievement in a pleasant living environment. 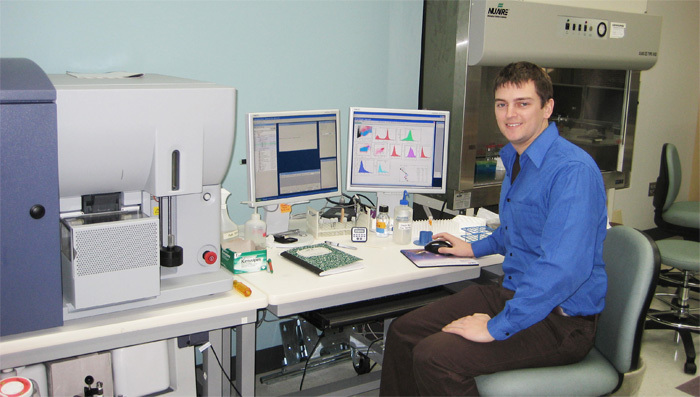 Qualified PhD and MD/PhD students receive competitive stipends and tuition support.